Oil Monster is a nationwide recycling business, which buys, collects and recycles your used oil. With such an important job, Oil Monster needed a website and branding campaign that helped with their monster task. Based in Chester, Oilmonster started as a great idea with the know how to get going but needed a brand and marketing to match the ambition. Oilmonster trusted Level to create an instantly recognisable and lighthearted identity which quickly endeared them to their customer base. 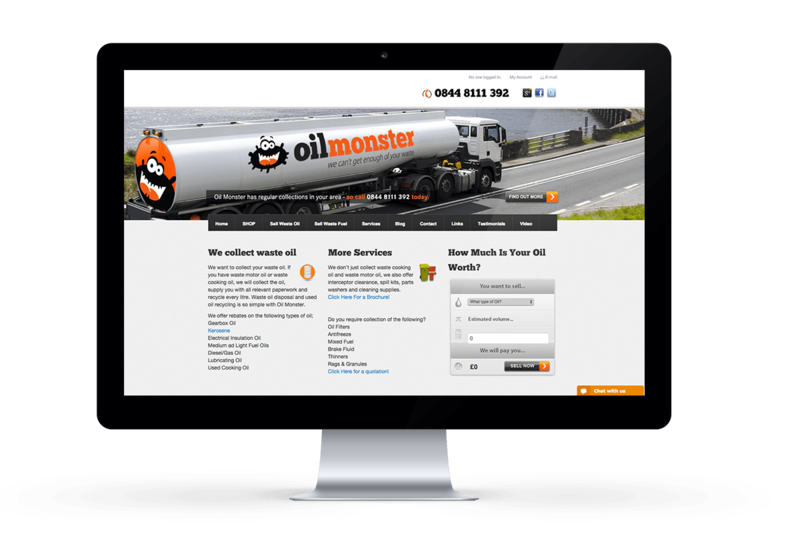 By creating a website with integrated CRM, e-commerce and email marketing function, Level gave Oil Monster everything they needed to market the now award-winning business.